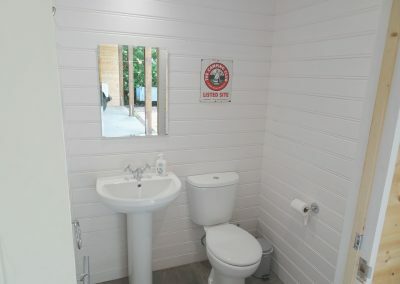 We’ve travelled for weeks on end in our trailers and find them perfectly comfortable for cooking and living in but we understand that adapting to this more modest way of life can take a period of adjustment, so if you feel the need for some additional creature comforts then they can be found in the Camp HQ.We’ve done everything we can to make your stay in this cosy caravan feel as comfortable and fun as possible. 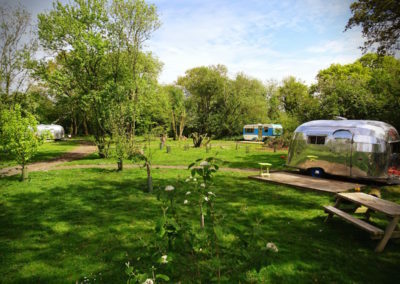 It may be sixty-something years old, with many original features but we’ve given it some modern adaptations so you feel the 1950’s vibe but with some modern creature comforts! 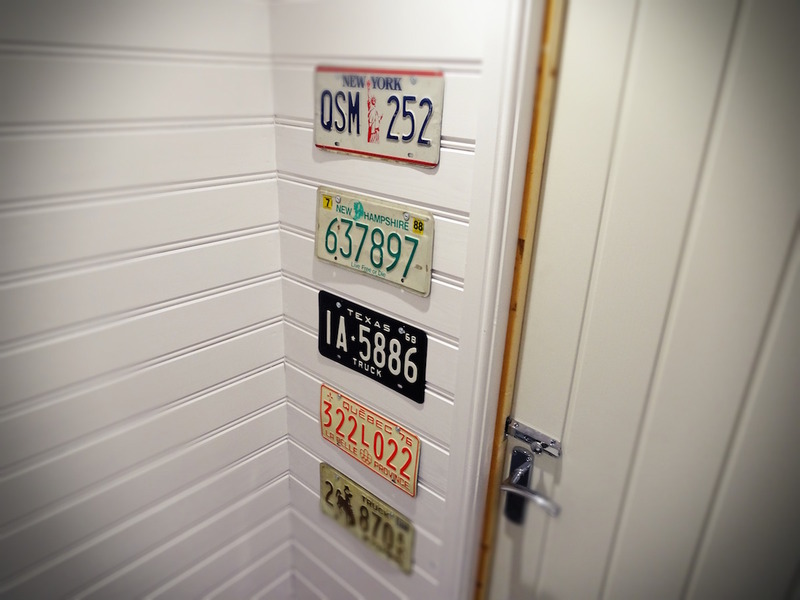 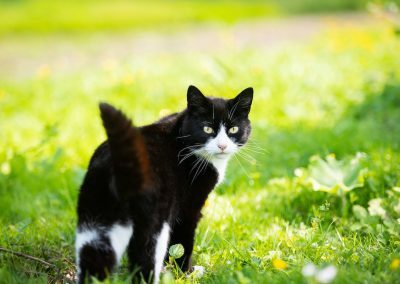 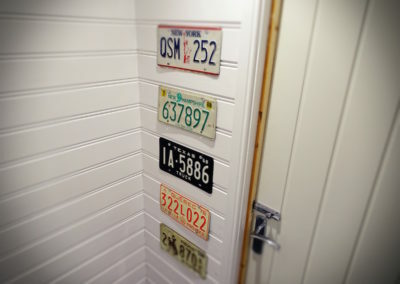 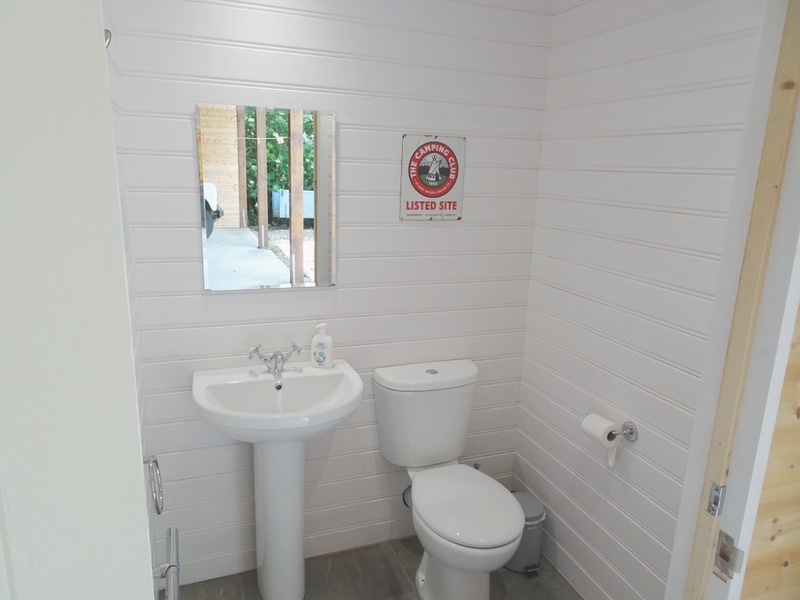 Having stayed at many a campsite we are well aware of the fear that takes hold as you approach the toilet block! We have really tried to address this issue in order to attract the not so hardy campers and to make your stay a true glamping experience. 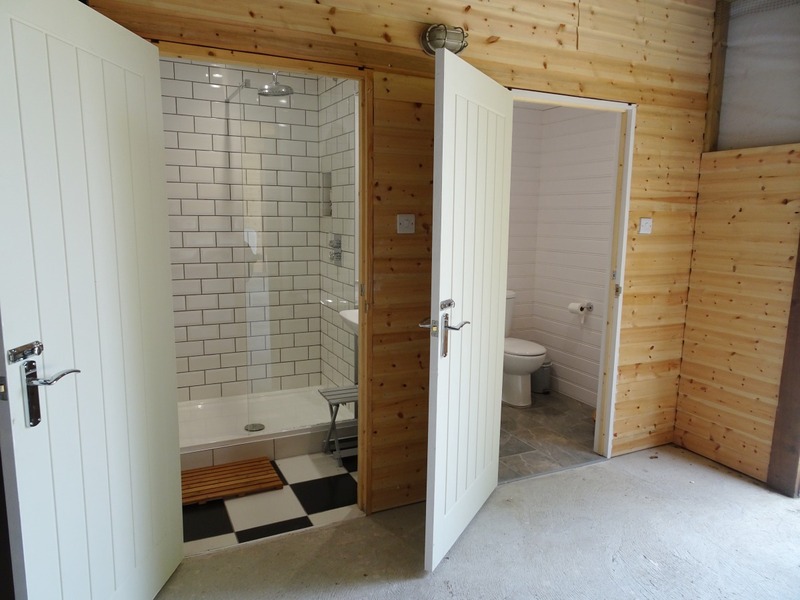 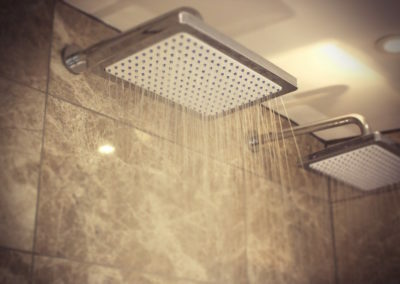 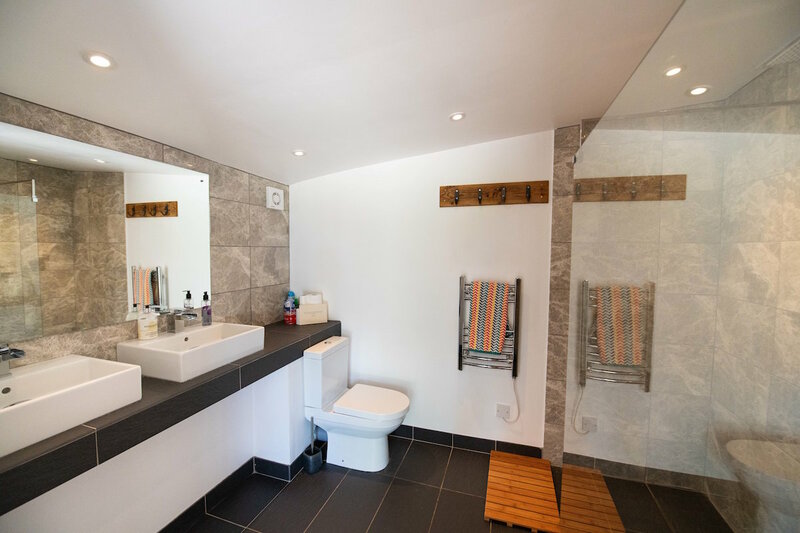 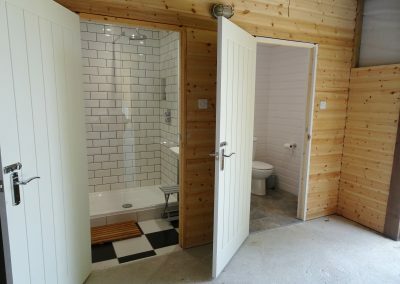 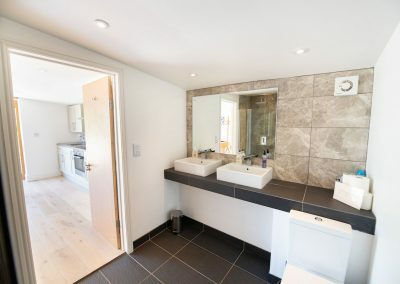 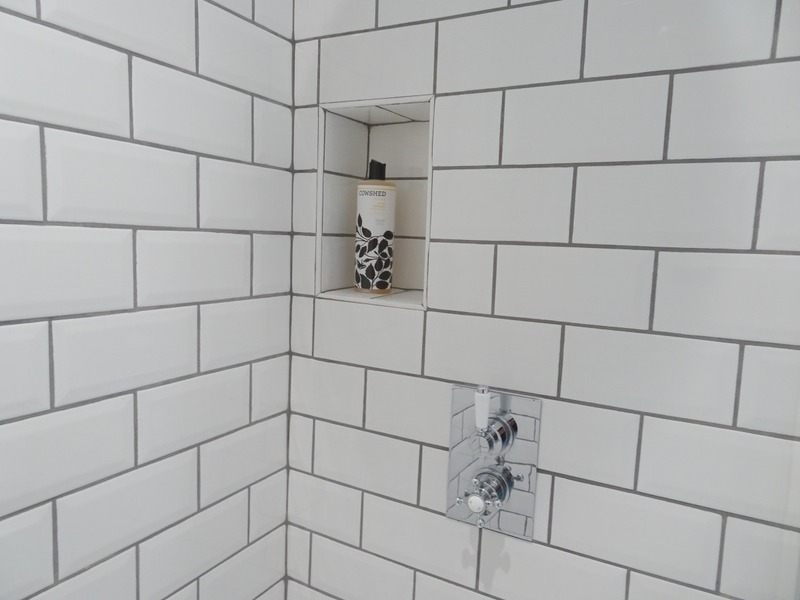 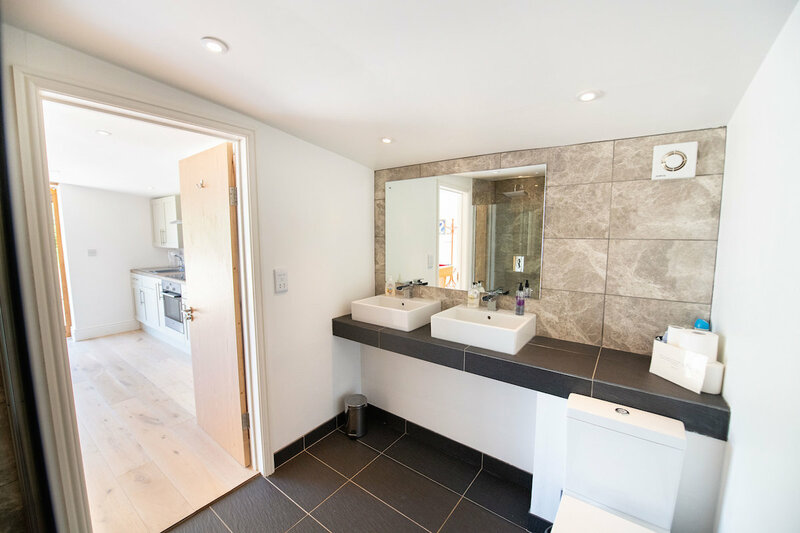 We now have three purpose built bathrooms one with double sink, toilet and walk-in double shower which has been tried, tested and loved, one with a toilet and basin and a third with yet another beautiful shower and basin. 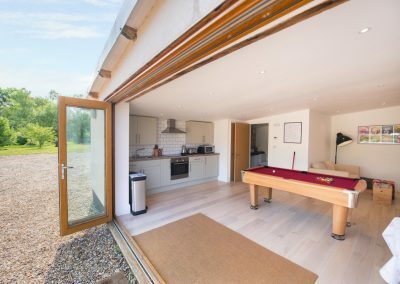 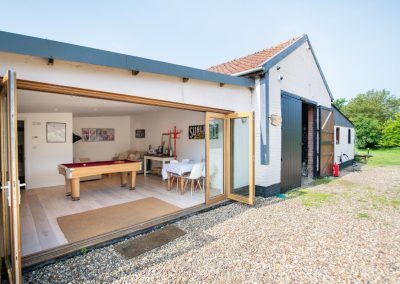 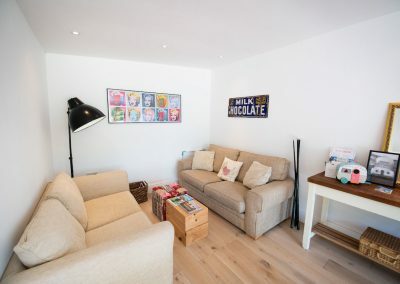 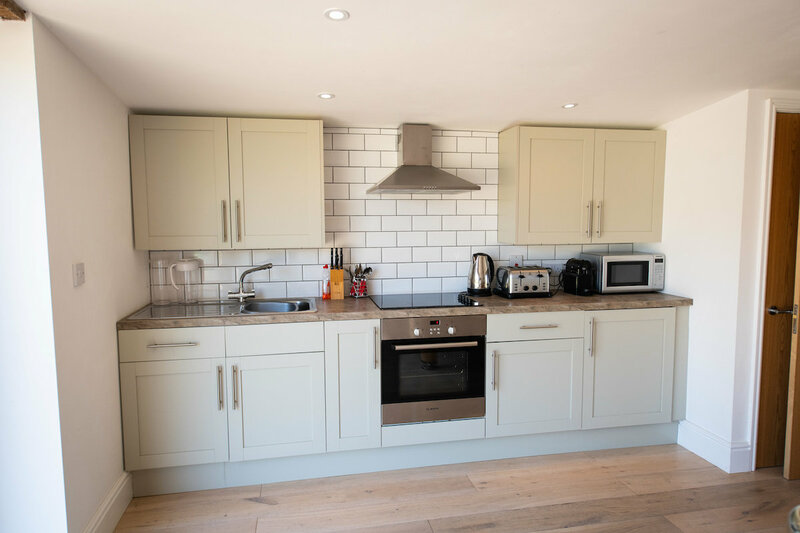 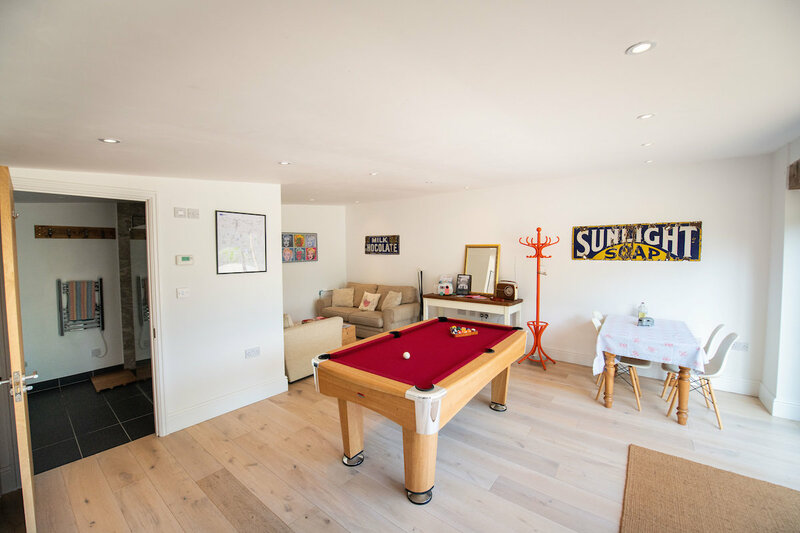 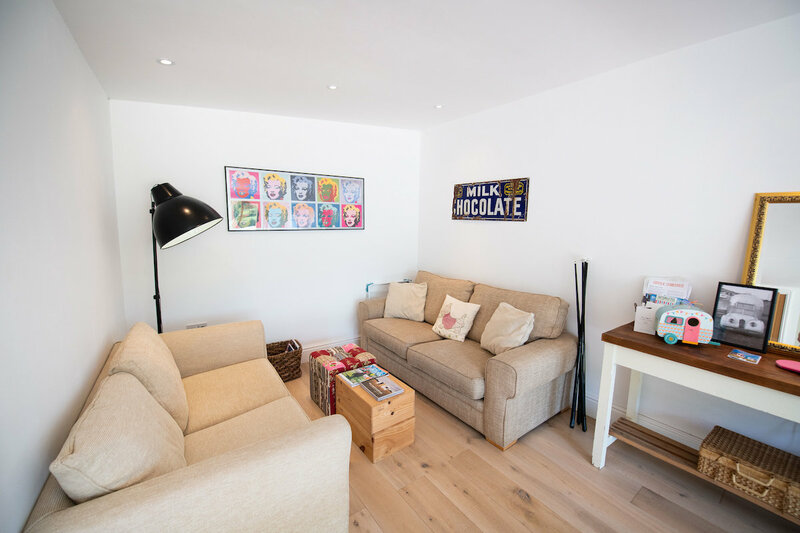 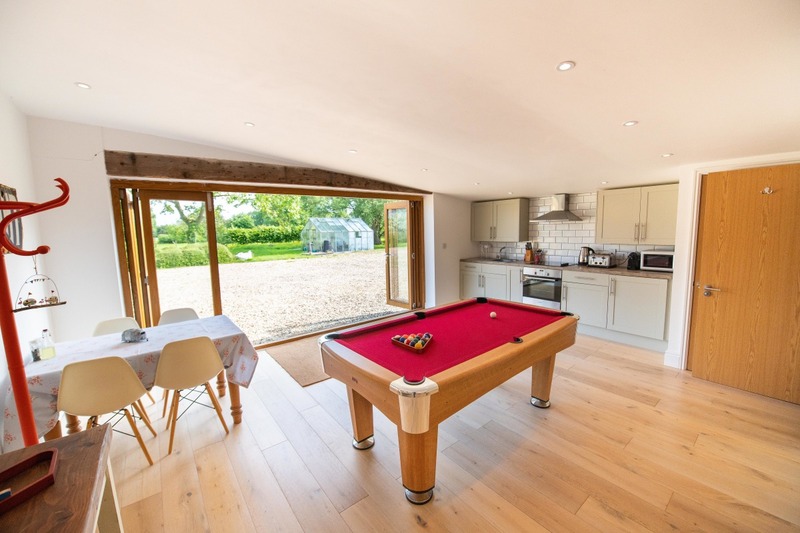 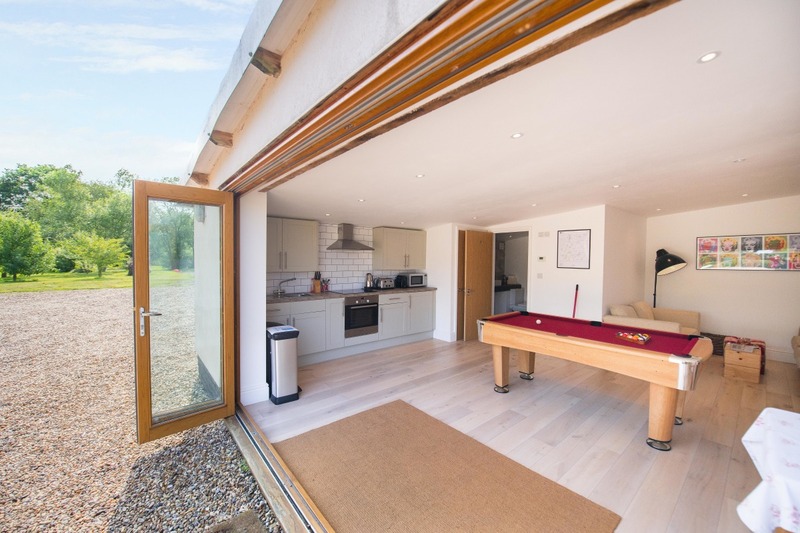 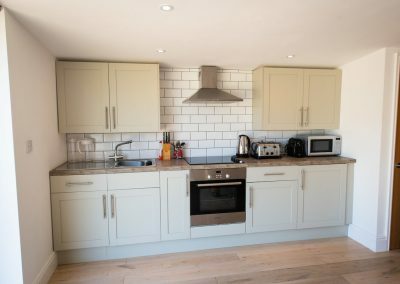 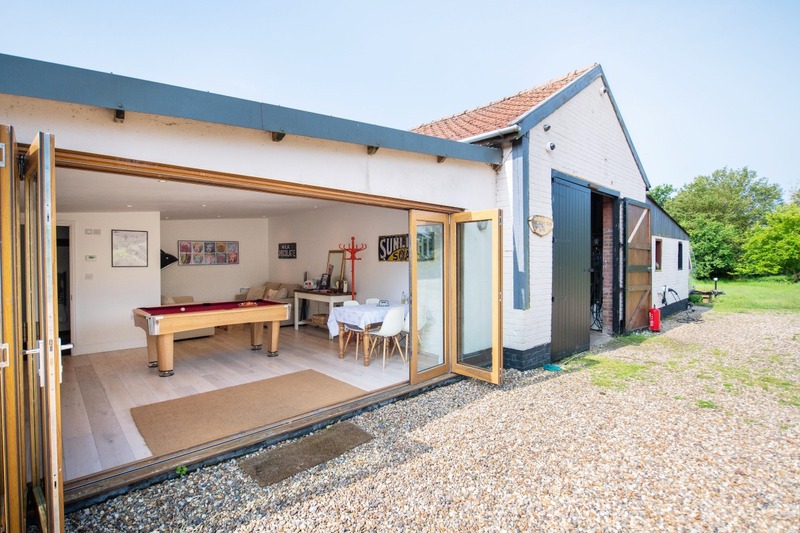 Within our converted barn you will also find a brand spanking new kitchen with fan assisted oven and halogen hob plus an additional fridge for storing anything that won’t fit in your trailer fridge. 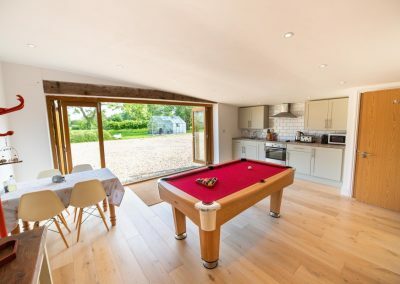 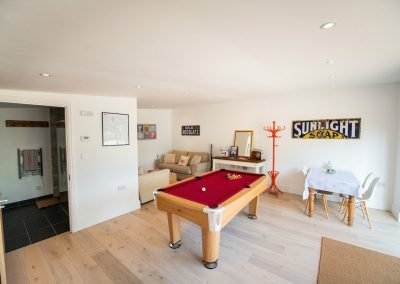 There is also an espresso machine for a fancy morning brew, pool table, dining table and chairs and two sofas for relaxing on while the other half finishes readying themselves in front of the large mirror!! 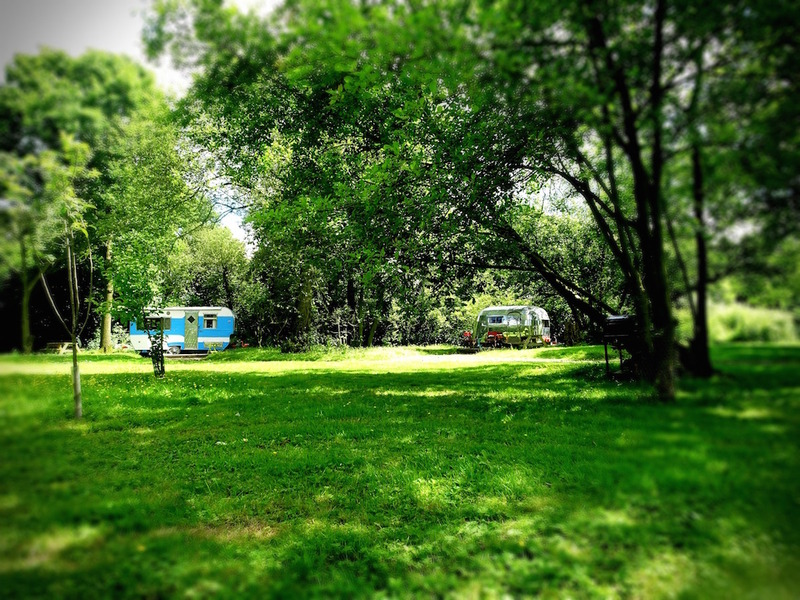 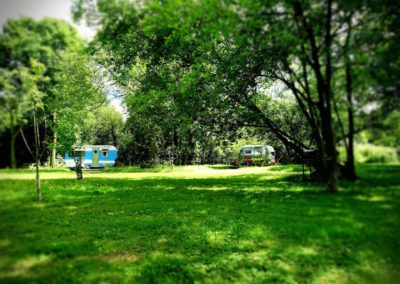 We do try to do our bit for the environment where possible so have installed an air source heat pump to heat the water in the Camp HQ and we also generate our own electricity (on sunny days) via solar panels. We also (kindly) ask guests to do their bit too by separating their waste between two bins one for recycling and one for other matter.